(CBS/AP) BUNKER HILL, Ind. - A 76-year-old man was stabbed to death Sunday while leading a Boy Scout troop on a hiking trip in Northern Indiana. Police have now charged 22-year-old Shane C. Golitko with murder and two felony counts of battery in the death of assistant scout leader Arthur L. Anderson. Police say Anderson, who had been involved with the scouts for 50 years, had stopped to identify a tree on the Nickel Plate Trail in Bunker Hill Sunday afternoon when the attacker approached him from behind and stabbed him in the neck. Anderson died on the scene from the attack, which witnesses told police was unprovoked. Officers later arrested Golitko of Bunker Hill, after he ignored a state trooper's attempted traffic stop. He then led police on an eight-mile chase, the Indiana State Police said in a statement. A minute before the 911 call alerting authorities that Anderson had been stabbed, Golitko's mother Valerie Henson called 911 to report that her son had assaulted her during an altercation at their home. Their house is 150 yards south of the trail, state police said. Henson told police that after she fled to a neighbor's house, her son walked to the trail where Anderson was later stabbed. She said her son later returned home, smashed up their home and stabbed two dogs, killing one. Henson was treated for a broken arm. Police did not say what sparked the altercation between Henson and Golitko. 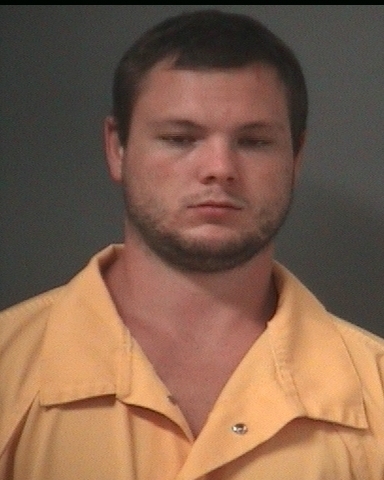 Golitko is now being held without bond at the Miami County Jail.